This year is the 30th anniversary of one of the most storied records in the NFL, Eric Dickerson’s 2,105 yard rushing for the Los Angeles Rams. 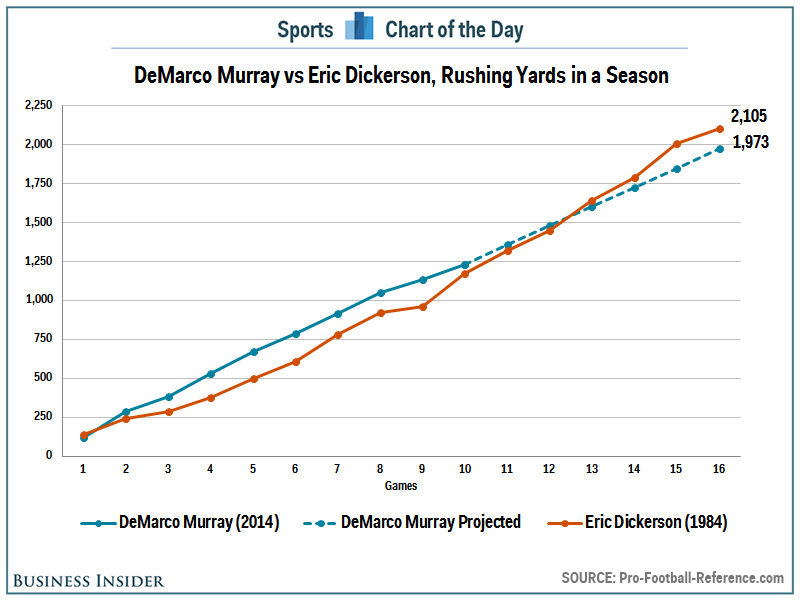 Through ten games, DeMarco Murray of the Dallas Cowboys is actually ahead of the pace to break that record. Dickerson did most of his damage in the second half of the season, averaging 163 yards per game over the last seven games. At Murray’s current pace, he will finish with just 1,973 yards, more than 100 yards behind Dickerson.